We deliver search engine optimised websites, engaging content, educating business blog posts and promotional social media marketing, all designed to attract your best potential customers through addressing their needs and current challenges. The attract phase is where most of your marketing activities will take place. It’s largely about generating a regular supply of high-quality content designed to speak to and address your ideal clients’ needs, goals, and challenges. 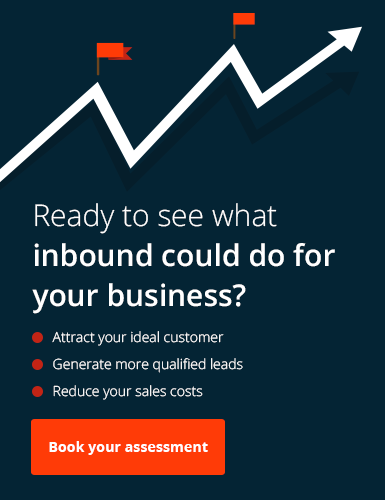 An important aim of any inbound plan is to increase the base conversion rate of quality leads. However, to capitalise on these conversion rate improvements, being able to attract more visitors into the funnel in the first place is of the utmost importance.